From little cabins, rural studios, and playful guest cottages to the ultimate in luxurious new homes, all things residential are our passion and specialty (though we’ve been known to take on unique commercial spaces, too!). Our process is highly collaborative, explorative, and creative, and we take extra care to craft spaces that are beautiful, functional, and true to you and your site. Our designs are strongly driven by your specific needs and the significant features of your property and location, which means the end result isn't necessarily a specific style, but rather a living and livable piece of art - a symbol of people, place, and time that is intimately connected with its surrounding environment. All our projects push the envelope of high performance, sustainable design. Whether it’s net-zero, living building, or certified LEED, we believe all new construction should be high-quality, low-maintenance, low-impact, and most importantly, healthy. We help you evaluate and set performance goals from early concept, bring in experts in building technology to design proper systems, and follow through once you’ve moved in to ensure those goals have been met. We believe in creating architecture that enriches the lives of its inhabitants, community, and environment, and nothing less. is a research-based architecture and consulting firm in Silicon Valley specializing in contextual, story-rich, future-minded custom residences and mixed-use developments. We are dedicated to designing beautiful, cutting-edge, and resilient housing for the West Coast, with local offices in the Bay Area, California and Bellingham, Washington. We do things differently at EVIA. Read more about our unique, above-and-beyond services, products, and process here. Deep green, net zero design office located on a bluff in Santa Maria, CA overlooking agricultural fields and the Pacific ocean. Hillside construction featuring passive design paired with the latest in building technology yields this low profile, low maintenance, low carbon footprint flexible plan creative space. High thermal mass regulates temperature, extensive glazing on both vertical and horizontal planes offers bright, natural lighting, while deep south-facing overhangs shield from glare-inducing direct light. Operable windows bring in fresh air and reduced barriers between indoors and outdoors tie occupants with their natural surrounding for happier, more productive work. The angular design is dynamic and both mimics and delineates the structure from its surroundings. Design in progress. Net-zero community center in a tropical climate for a private subdivision. Features pool, spa, lounge, kitchen, BBQ, lanai, gym, and support spaces. Design in progress. Net-zero guest residence in the tropical climate of Hawaii built into a hill-side for temperature regulation and harmony with the natural landscape of the site. 2,000 SF, 2 bedroom, 2.5 bathroom, featuring a'a, coral, travertine, and basalt stone, extensive glass, teak detailing, and standing seam zinc roof. Design in progress. 9-Unit luxury condominiums in downtown Mountain View, CA featuring below-grade parking garage, large private balconies, expansive natural daylight, unique and generous floor plans, and a central shared courtyard. Construction to begin winter 2018. 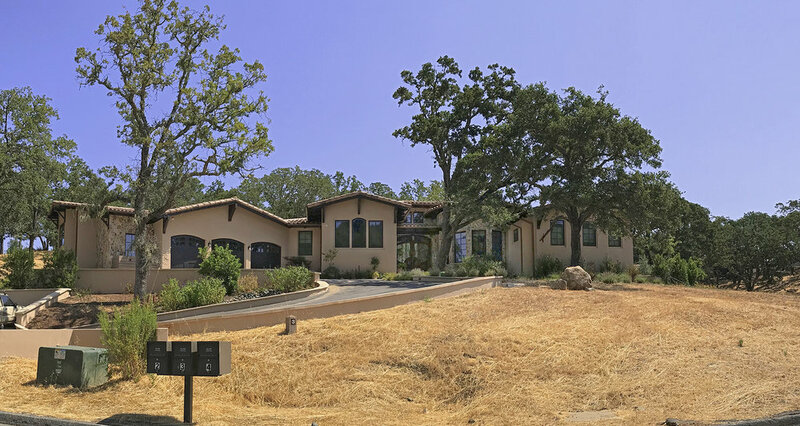 Beautiful Italian villa style custom home in Portola Valley, 6 bedrooms, 6.5 bathrooms, featuring an expansive day-lit basement, 3 car garage, pool and spa, gardens, and greenhouse. Built into the hillside for a low profile and sighted to maintain privacy while taking advantage of sweeping views of adjacent rolling hills. Special care was taken to preserve the natural landscape and existing oak tree grove. Completed 2017.